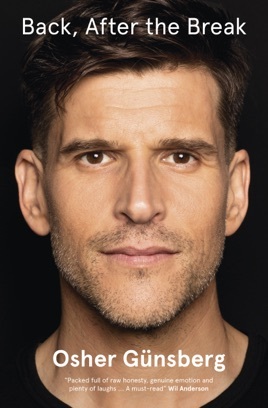 Osher Günsberg’s story needs to be read, even if it’s not an altogether happy one. Best known as the charismatic host of The Bachelor Australia (and, back when he was still called Andrew G, Australian Idol), Günsberg long hid a very difficult story behind his welcoming smile. Until now. His memoir is as personal as it gets, focusing on his experiences with addiction and mental illness in unprecedented detail and with remarkable honesty. It’s rare for a well-known figure to be so candid about their struggles, particularly in such an accessible, relatable way—and that’s why Back, After the Break is so important. Brutally honest story and will definitely open the dialogue for mental health in Australia. Thank you osher.